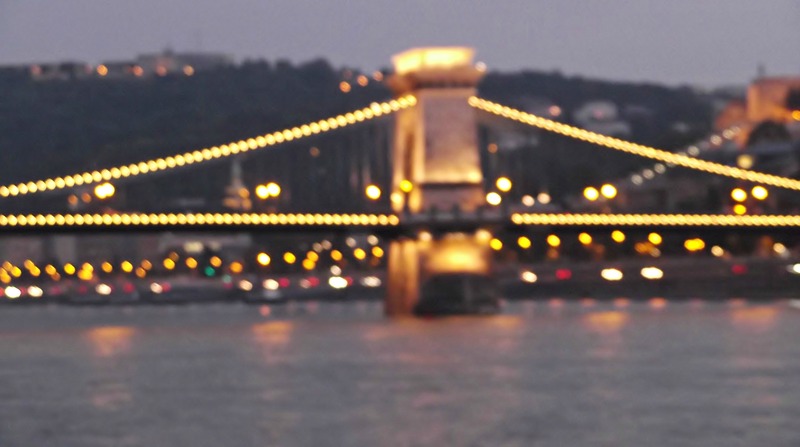 In the first week of October last year, I spent 5 days in Budapest, the capital of Hungary. I had treated myself to that little spree to celebrate my birthday. I had already figured out at home that the city of Budapest operates small ships as part of their public transport system. 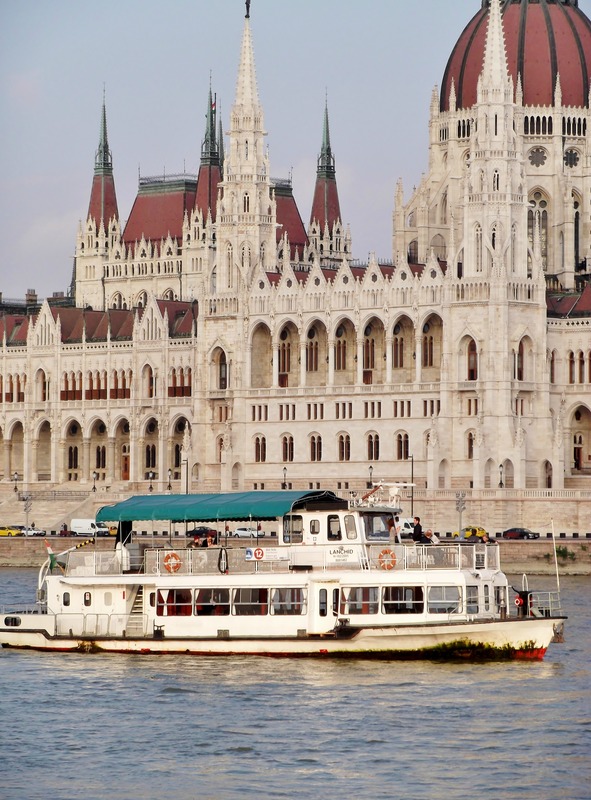 You only have to buy a regular return ticket, which was dirt-cheap, to get a 2-hour-cruise on the Danube. 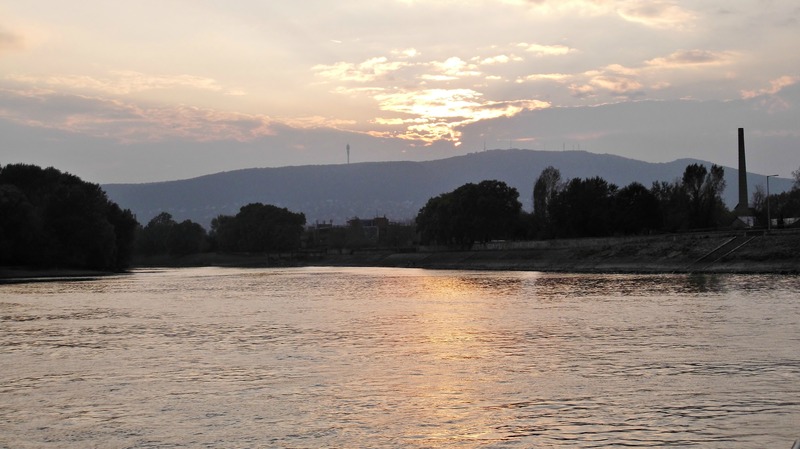 So I chose a landing stage and waited for my ship to come on the banks of the Danube. As you can see, it was a bleak place, and I was hoping for the ship to come as soon as possible. But I had noticed that the city has got two different kind of ships. They have ones with an open deck to sit on, and others are covered and you sit in a cabin. And I wanted by all means an open-deck ship, it’s more romantic (remember Kate Winslet in Titanic! ), and it’s easier to take good photographs. The ships ran every 30 minutes, and I skipped the first one because it was covered. In the meanwhile, 90 minutes had passed, and I got desperate. It was windy and the stone steps were not exactly comfortable. So I decided to take the next ship with or without covered deck. And the next one was…drum roll…a ship with an open deck!! Ok, it looks a bit run-down, but it was safe, the benches were very comfy, the staff was nice – and I was almost the only passenger! And what I experienced during the next two hours, was more than worth the waiting: I had one of the most lovely, Kate-Winslet-like ship cruises one could ever imagine. It was the perfect reward and like a present for my birthday. The famous Chain Bridge and in the background the Parliament. 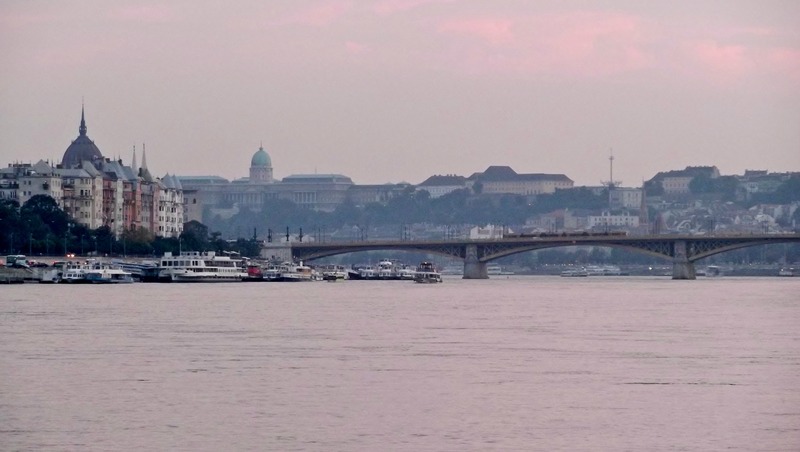 The Danube and the Parliament. 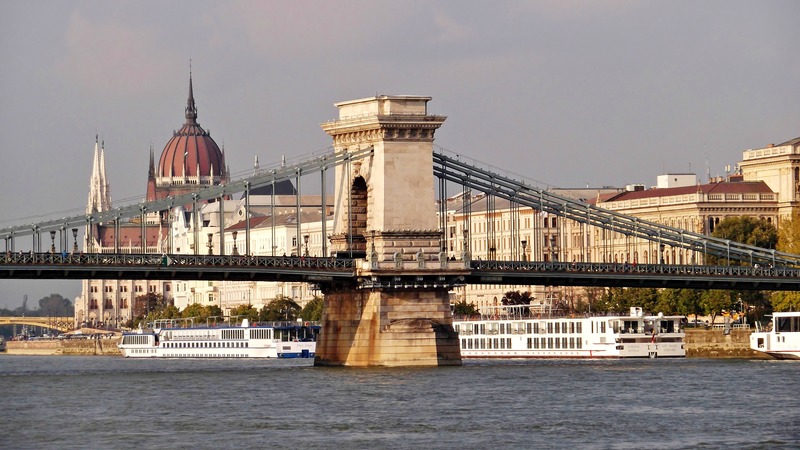 My favorite bridge in Budapest: Margit Bridge. A look back: Margit Bridge. It was already late afternoon, and the sun started to set as we were leaving the city centre. At a certain point, the ship made a U-turn and we went back. 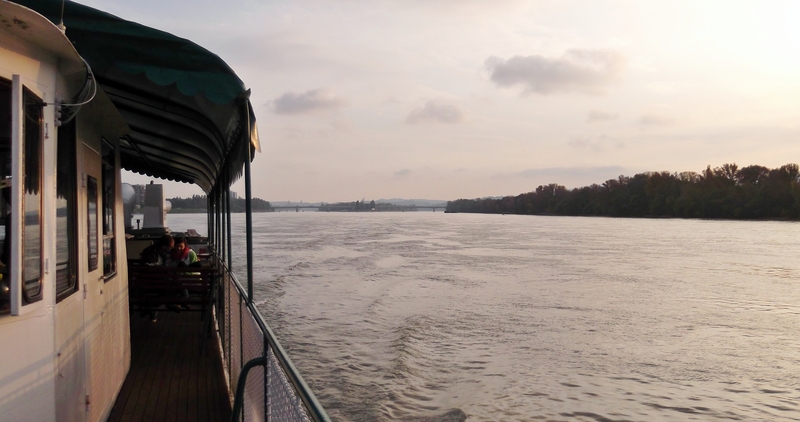 One hour had passed, it was getting darker and darker and I knew that we still had a long ride ahead of us before reaching the centre of Budapest again (given the fact that the ship stopped at sereval landing stages along the river). 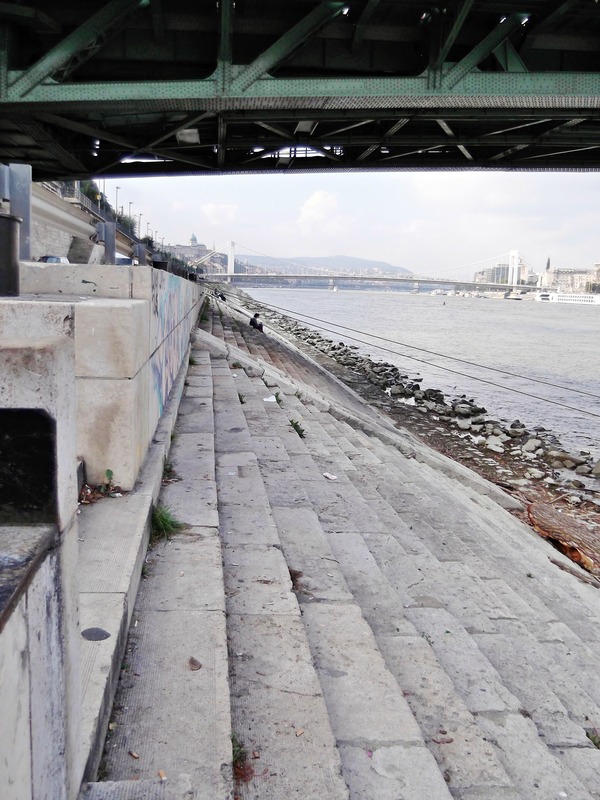 Budapest is – as far as I know – the only city in the world whose panoramic view along a river has become a UNESCO World Heritage Site. The banks of the Danube in the city centre are beautiful (as you have seen), and the main touristic attractions are located there. And when the sun is setting, the banks along with the famous sights are illuminated. And the question was: Will the ship get back when the city is already illuminated so that I can enjoy this beautiful view, or will we arrive too early? We were approaching the city centre. The Castle district on a hill. And the cars had already turned on their lights. The first lights went on! And exactly when we approached the Chain Bridge and the city centre, all the lights went on! Wasn’t I lucky? It was the perfect birthday present. Lovely photos. I absolutely loved my trip to Budapest with my sisters a couple of years ago. 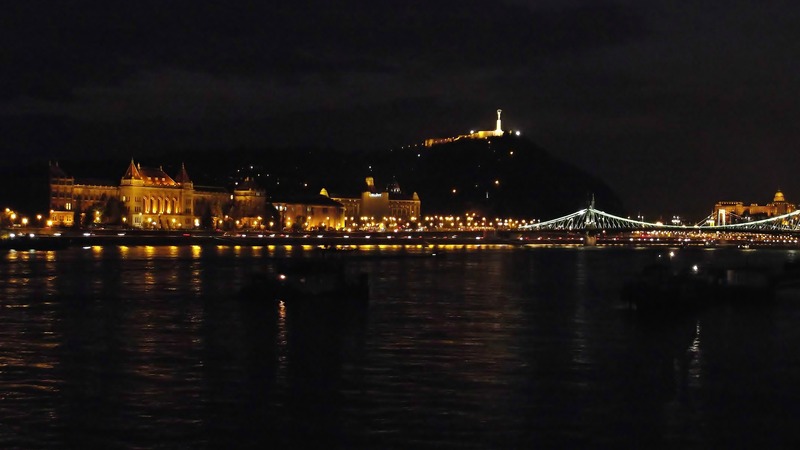 We took the night cruise on the Danube, it was also two hours long and the lights on the bridges were fabulous. So too were the government buildings etc. We went in January and there was snow covering The Fisherman’s Bastion, it was such a magical place. Thanks for sharing your trip with us. Okay, now I have to go to Budapest! Do it, it’s so worth it! And it is still a value destination, accomodation and food are less expensive than in West European countries. And the weather is mostly good. My son was there last month–he’s teaching in Turkey, so he could get there for a weekend–and he loved it. It was snowy and cold, but he said the snow made it even more magical. So, yep! Gonna go, and I want to do it while he is still over there. Great option if you don’t need explanations and simply want to enjoy the beauty (and it is beautiful). You went at the perfect time of day (just imagine if you had taken one of the earlier boats) and I can sense your excitement in your writing. The ticket price was 2 or 3 euros (they still have their own currency, Forint) for a return ticket, and I went from one terminal stop to the other and back, so it was the perfect deal! 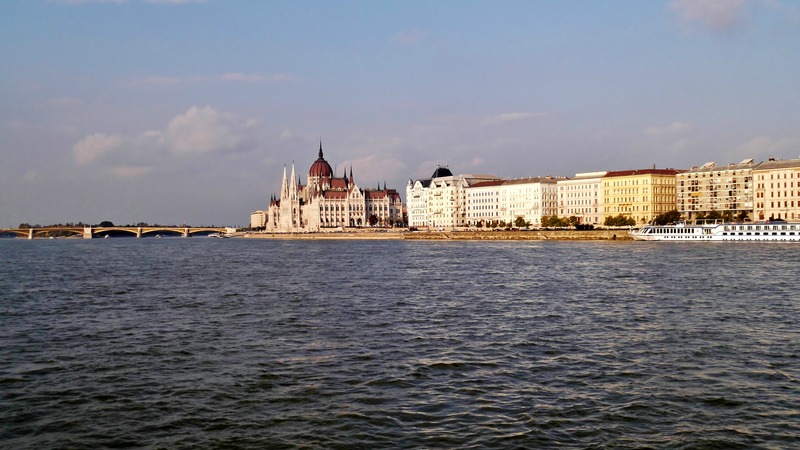 I’ve read so much about Budapest, so I knew the sights and didn’t need the explanations. Such a lovely reminder of my own trip to Budapest. One thing for sure, if you give YOURSELF a gift, it will certainly be something you want!! OMG what a travel. Great shots. Thank you, and a great week for you, too! Wow, these are the most beautiful photos. My parents are staying in Budapest for a week in June. I will send them the link to this post. I think they will really enjoy it. Thank you, Budapest is so beautiful, at the end of my stay I was sad that I’d had only 5 days. I highly recommend to spent 2 whole days on the Castle district. One for the palace and the museums and the other one on the castle quarter. And one has to go really early, it’s always packed. I will do more posts on my trip to Budapest in the next couple of weeks. Your photos are amazing! I kind of liked the bleak stairs. My Son in law is going to Hungary for a month on business. Thank you so much for following my blog. I look forward to getting to know you better. I think it’s the most famous landmark of Budapest. 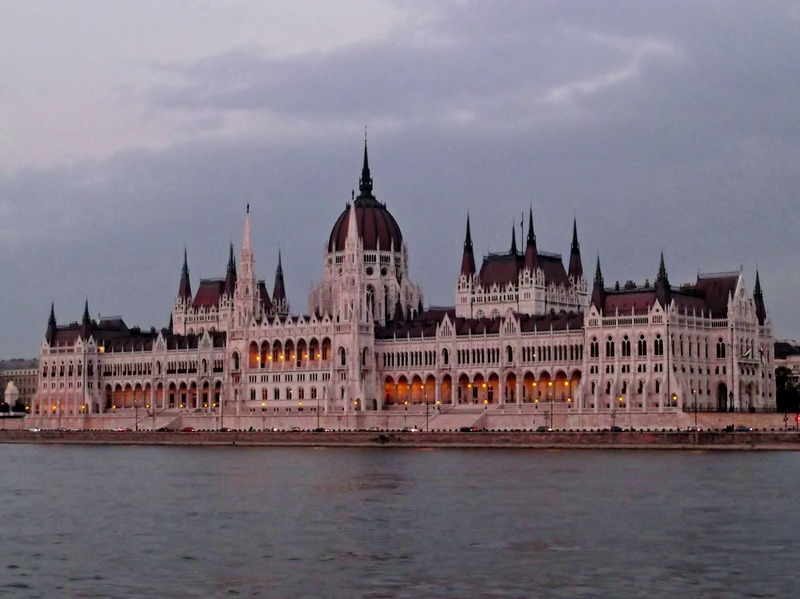 I went to Budapest for about 4 days in 2009. I thought it was greatly underestimated city as I loved it! It has so much to offer. I think since then, travelers have definitely found its worth more. I was there in October 2014, and the city was packed with tourists. It is still a value destination, but it is getting increasingly overrun. The chain bridge looks wonderful in lights. Beautiful captures!! I´m every year a lot of times in Budapest, because I have holiday-flats there. 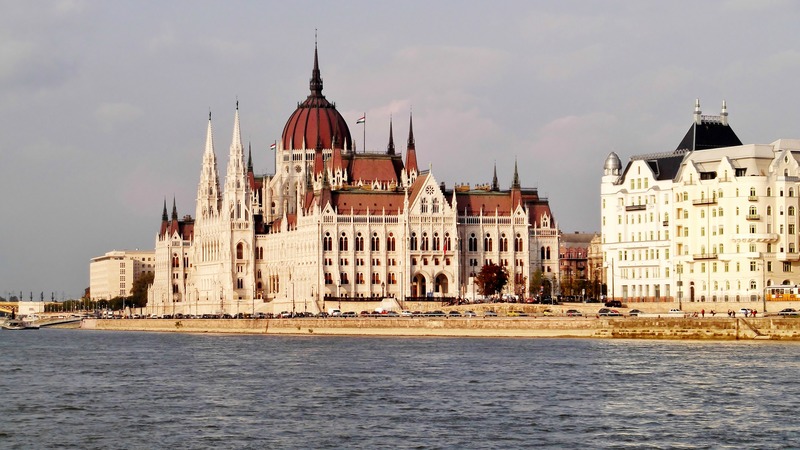 I think Budapest is one of the most beautiful cities in europe…. all over the year! The pictures are great – Thank you! You’re welcome, Budapest is lovely indeed, you’re lucky that you can be there so often! Wow!!! Amazing photos and lovely post!! Beautiful pics! I was just in Budapest in June and spent only a few days, but it was glorious. Definitely want to go back! Thank you! I was there last fall for 5 days, I wish I could’ve stayed longer, there’s still so much to see.